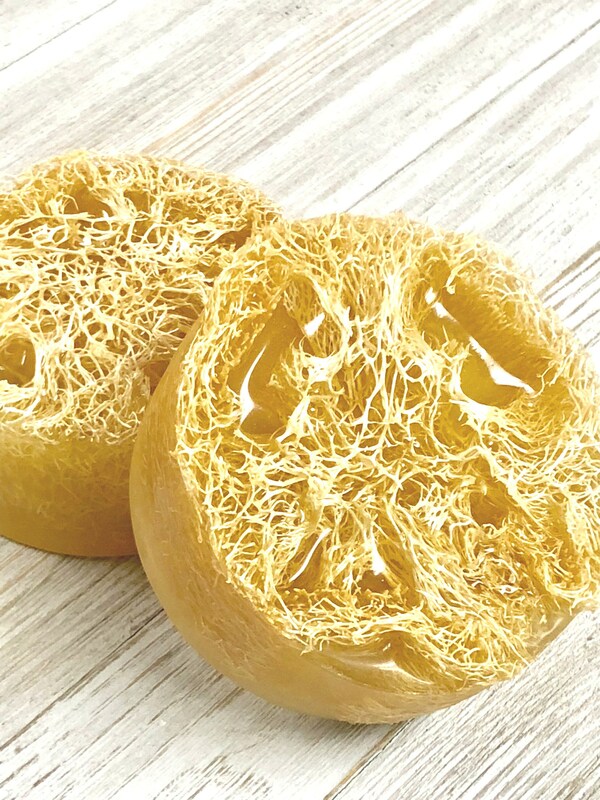 LEMON ZEST | NATURAL LOOFAH SPONGE SOAP Glycerin Soap made with natural oils of Coconut, RSPO Palm and Safflower Oil. 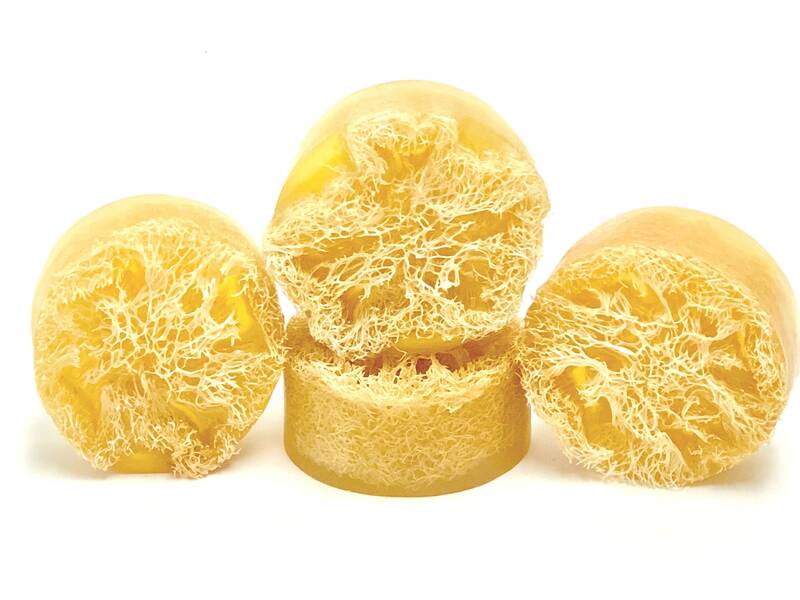 Loofah sponge varies in size due to the natural grown product. 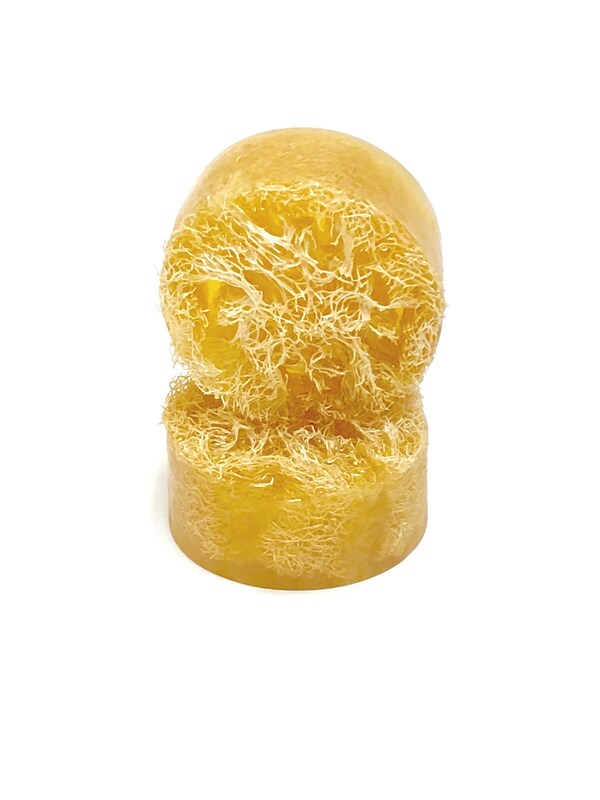 Individually Wrapped with a Beautiful Label.